Unique visual design and durable materials. Jodi Head guitar straps are all handmade in NYC's East Village by experienced craftspeople using high-quality materials. 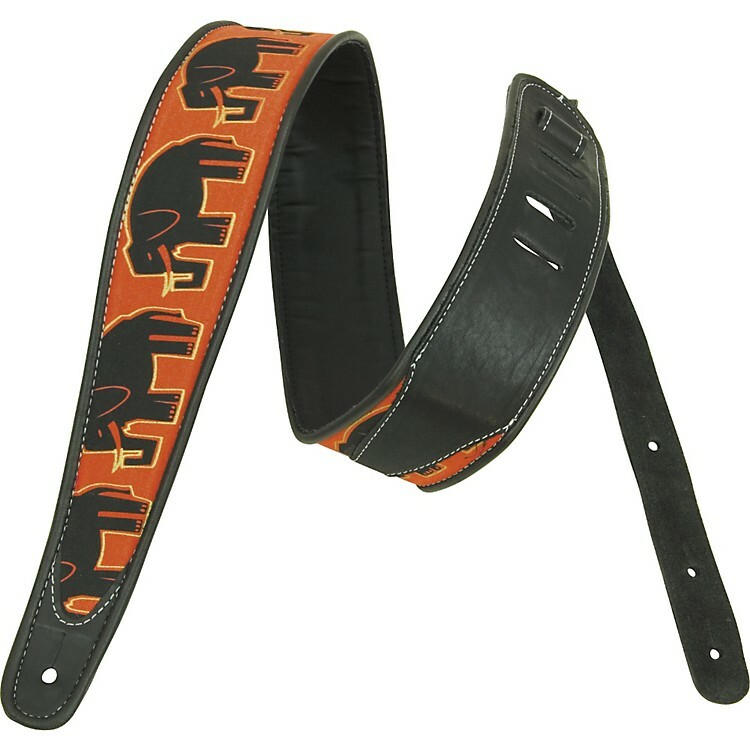 This 2-1/2"-wide strap features an elephant pattern on a soft fabric body with an adjustable leather tip tail.